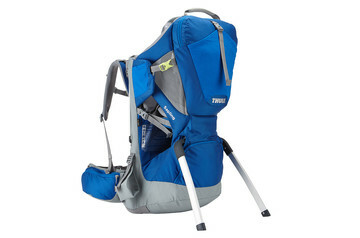 So far we are loving the backpack. Our babe, 14 months old, just did her first 4-miler in it and seemed to really love it. She was comfortable and happy the whole time - even dozing off for a bit. 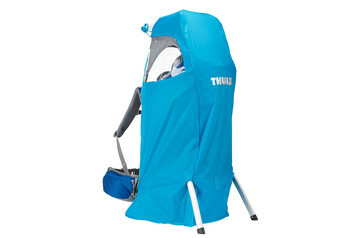 After borrowing an Osprey child backpack from a friend, we opted for the Thule thanks to a few good reviews I'd read. I have a just a few comments/recommendations for improvement: (1) Shoulder Straps for Child - the snaps are put on the front down low. This makes it darn near impossible to snap her in easily. They get pushed down when she gets in and I had to dig around for the front clip - which caused her to squirm and cry. Why put it there? Seems like a bad place and really problematic to attach and quickly adjust. (2) Sun Shade - why make this so hard? You can't just slide it up and clip the front (we borrowed an Osprey and loved how easy the sun shade was to put up). (3) Front Pockets - LOVE how big the front pockets are - these are actually usable...THANK YOU! With that in mind though, why not one that could carry a water bottle? I know there's a bladder holder, but I couldn't carry a water bottle (easily accessible to me, the wearer) while hiking. I didn't love that - I don't always want to carry a water bladder. None of these are utter dealbreakers - we will keep the pack. 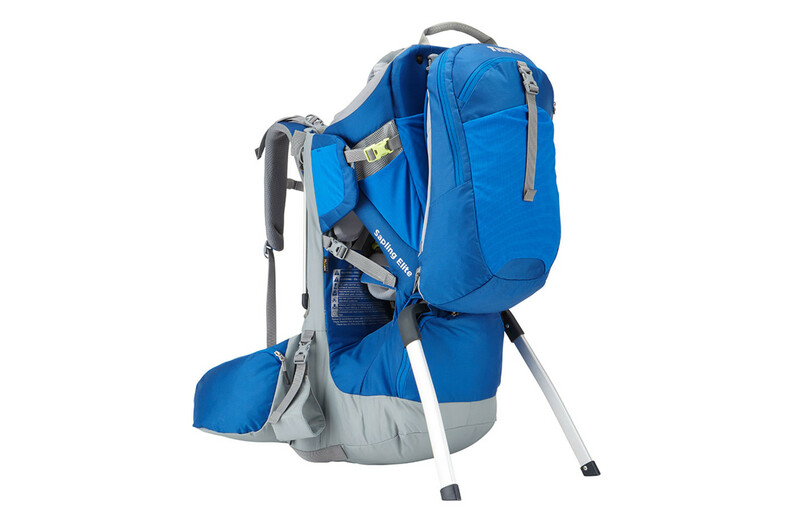 I love how easily adjustable the pack is for my husband and I. I am pretty disappointed though in the child Shoulder Straps. It's close to a deal breaker, but it will just take some getting used to.